Sean Dyche is convinced Burnley’s fortunes will improve if they continue to deliver the performances he expects. The Clarets have not lost in the Premier League since Boxing Day, with three wins and as many draws, yet they hover just two points above the relegation zone ahead of their Saturday teatime fixture at Brighton. 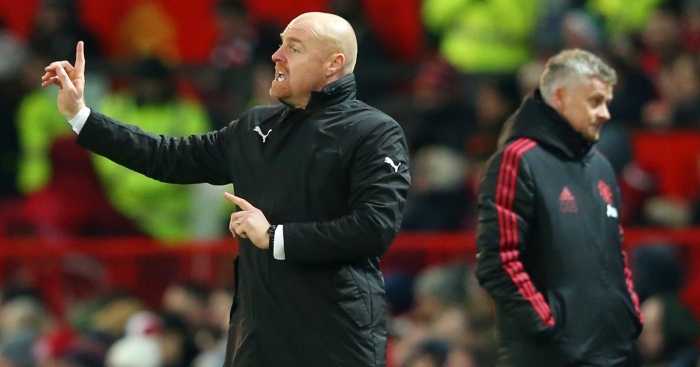 Dyche lamented decisions going against them in their most recent matches against Watford, Manchester United and Southampton – all of which finished in stalemates. The Burnley manager said: “The scratches of luck that you need have not quite gone in the last three. “They will come, I’m sure of that, but everything revolves around performances for me, both individually and collectively. “When you get that right, it doesn’t mean there’s any guarantee but it gives you a better chance of getting what you want if you’re performing at the right level. Midfielder Steven Defour is unlikely to feature at the Amex Stadium because of his calf complaint although defensive duo Matt Lowton and Kevin Long have returned to training this week as Dyche’s injury situation improves. Burnley’s recent resurgence is in stark contrast to Brighton, who have only won once in the league in their last 10 games and needed extra-time to see off West Brom in their FA Cup fourth round replay on Wednesday night. With Seagulls boss Chris Hughton making wholesale changes to his line-up at the Hawthorns, Dyche does not believe the long trip back to Brighton from the midlands will have too much of an influence. Dyche said: “They made a lot of changes but equally they’ll have had a long journey. It’ll be a very late night after what went on. All that being considered, teams are set up now, they’ll be recovering, they’ll be ready. This weekend’s clash on the south coast brings together two of only five English-born managers in the top flight, yet Dyche denied there was any kinship between the quintet. He added: “I think it’s a strange situation when you’re suggesting the low numbers make you a band of brothers. I don’t think that’s the case.